Can a China-HK Bond Connect Attract Foreign Investors? Beijing and Hong Kong have approved a new cross-border bond trading program, called bond connect, hoping to attract a new wave of foreign investors to buy Chinese onshore bonds. The platform is similar in theory but differs in execution to the existing stock connect between Hong Kong and the mainland, which allows foreign investors to purchase mainland stocks. The bond connect will link Hong Kong to Shenzhen’s bond markets and is expected to go live on July 1, the 20th anniversary of Hong Kong’s handover to China. Beijing hopes the bond connect will legitimize its bond market on the global stage and help diversify bearers of onshore default risk. But immediate success is unlikely, given the existing lukewarm reception of the similar stock connect program and overall investor skepticism of Chinese credit. China is the world’s third largest bond market following the United States and Japan, but is largely closed off from foreign investors. It first opened the onshore bond market to foreign investors in February 2016. Under this arrangement, foreign asset managers wishing to purchase such bonds must register locally in mainland China. The bond connect will officially eliminate that requirement, as firms in Hong Kong will have the ability to purchase onshore bonds at will, without a mainland license. In a joint statement May 16, the People’s Bank of China (PBoC) and Hong Kong Monetary Authority (HKMA) said that “Northbound trading will commence first in the initial phase, i.e. overseas investors from Hong Kong and other countries and areas (overseas investors) to invest in the China Interbank Bond Market.” The opposite southbound trading, or mainland investors investing in Hong Kong bonds, will commence in the second phase at a later date. In theory, bond connect will no doubt expand the market for Chinese onshore bonds and bring in a new wave of investors. “The major advantages of the Bond Connect compared to the existing China Interbank Bond Market scheme are the speed of gaining the access and the fewer onshore account set up needed,” Gregory Suen, investment director of fixed income at HSBC Global Asset Management, told industry publication Fund Selector Asia. Today, prior to the bond connect, about 473 foreign investment firms are active within China’s onshore bond market with investments totaling 800 billion yuan ($117 billion), according to PBoC estimates. However, the true number of foreign firms holding Chinese debt is less than the official figures, as about 200 of the 473 are investors from the Chinese territory of Hong Kong, which Beijing deems foreign. To cater to the anticipated trade flow, the Hong Kong Exchanges and Clearing and China Foreign Exchange Trade System formed a joint venture on June 7 called the Bond Connect Company to offer trading and support services to market participants of the bond connect. 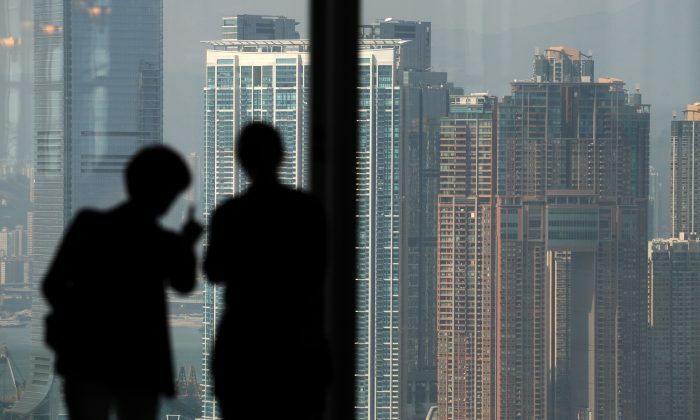 Beijing hopes demand for bond connect from foreign institutional investors will exceed the lackluster enthusiasm investors currently have for the Hong Kong-Shenzhen stock connection, where trading activity remains tepid. But that’s far from a certainty. The Hong Kong-Shenzhen stock connect has been open for six months, but logistical and demand issues remain. Clearing and settlement differences between Shenzhen and Hong Kong regulators have caused a sizable portion of trades to fail in recent months, according to a South China Morning Post report. In addition, foreign demand for Shenzhen stocks so far hasn’t met Beijing’s expectations, with the technology-heavy Shenzhen issuers viewed as perhaps too risky for foreign investors. It’s difficult to see bonds faring better. Despite Beijing’s opening up the domestic bond market to foreign investors last February—with no approval necessary as long as the investor has a local registered entity—foreign ownership of China’s bond market remains tiny. At the end of 2016, foreign holdings of onshore bonds are only 1.3 percent of total market value, according to estimates from the Financial Times. That means investors don’t believe the investment returns on Chinese bonds are enough to justify the heightened default risk of owning Chinese debt, which has fueled much of China’s recent economic growth and today sits at almost 260 percent of GDP, according to ratings agency Moody’s Investors Service. Looking past macro issues, individual bonds are also notoriously hard to evaluate for foreign investors. The industry standard global credit rating agencies of Standard & Poor’s, Moody’s Investors Service, and Fitch Ratings are barred from operating in China. Chinese bonds are instead rated by domestic ratings agencies, which are viewed by foreign investors with distrust for granting overly generous credit ratings. In other words, it’s difficult to assess the credit-worthiness of Chinese issuers because information on bonds is unreliable. Investors believe Chinese domestic credit rating agencies have tendencies to give out overly generous ratings to bond issuers (Oppenheimer Funds). The new U.S.-China trade deal signed during Chinese Communist Party leader Xi Jinping’s visit with U.S. President Donald Trump in April outlined a path for the U.S. credit rating agencies to begin operations in China later this year. To foreign investors, that’s a step in the right direction, while also introducing new challenges. Foreign credit agencies will operate under supervision of Chinese securities regulators. During times of economic duress, can they remain independent and objective?